"It is the view of the Australian Government that the conduct of Ms Corby's case, including the presentation of evidence and any decision about whether to make an appeal, is entirely a matter for Ms Corby's lawyers and not the Australian Government." 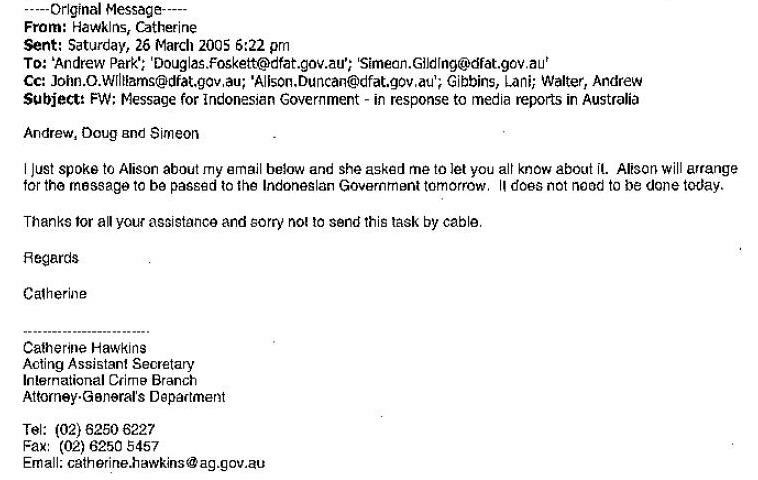 The message this conveyed, that as far as the Australian government was concerned, Schapelle Corby was on her own, could not have been lost in Jakarta. 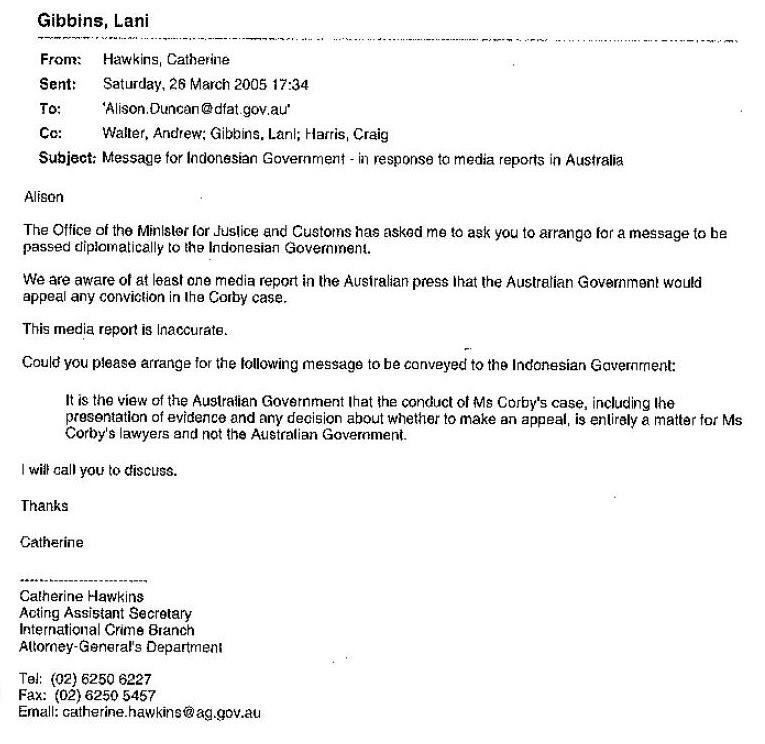 Schapelle Corby, her lawyers, the Australian parliament, and the Australian people, were completely oblivious to this, as the government presented the opposite picture for public consumption.